Being the forerunners of modern GPS technology, Garmin has perfected their craft to a tee. But with dedicated GPS devices quickly losing popularity in favor of smartphone navigation apps, the American company has moved to more relevant technology. 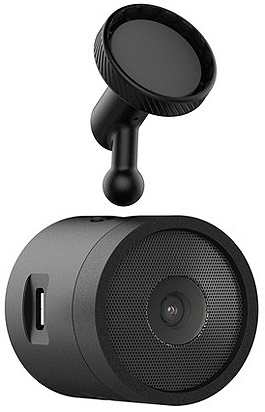 This includes their latest device, the Speak Plus GPS device with a builtin dash camera. 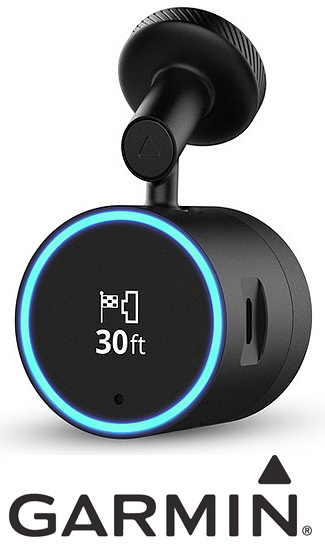 This compact gadget combines the functionality of a dash cam with the convenience of Amazon’s AI technology, Alexa, to create an enticing smart device for your car. In the box you’ll find little more than a magnetic mount, microSD card, power cable and user manual. You do have the option of adding an additional USB power adapter, but that’s about as far as it goes when it comes to accessories. This shouldn’t be passed off as a bad thing though, the Speak Plus simply doesn’t need much more than what’s included in the box to work. Design-wise, Garmin has opted to follow their partner in this project and create a small-as-possible, cylinder shaped casing with a uniform black paint job accentuated by an LED ring, similar to Amazon’s Echo devices. Up front you’ll find the OLED display, surrounded by the LED ring. Flip it over and you’ll find the solitary camera while the sides feature all the buttons, slots and ports. On top of the device is the mount, which is meant to be placed on your vehicle’s windscreen, contrary to the “dash cam” moniker. This device is small enough to be considered “stealth”, which is a good thing in dash cams, as it makes it harder to see for potential thieves wanting to break into your parked car. The Speak Plus has an impressive design to say the least. The whole device is very clean and well put together. Its the type of build quality you’d expect from a much higher end device. The display is a particularly noticeable feature. OLED technology helps keep the black parts of the screen as dark as possible, making them blend in with the rest of the camera. This creates an e-paper like effect, giving whatever text is on the display a great contrast to everything else. Not only does this look good, it also helps the display remain visible when the sun is shining through your windshield – something many other dash cams struggle with. Moving on to the camera, Garmin hasn’t revealed regarding specs. What we do know is that the sensor can record video in 1080p at 30fps, providing a sufficiently clean and smooth image. The 82 degree field of view is wide enough for large highways and built-in safety features such as forward collision and lane departure warnings come standard. A G-sensor inside the camera will help it detect collisions as well, allowing it to automatically record footage when necessary. It should come as no surprise that Garmin has chosen to focus on other areas with the Speak Plus instead of the camera, namely Alexa. You can use voice control to enable a plethora of features, enough to put your vehicle’s built-in media console to shame. This includes asking Alexa to play music, use Garmin’s navigation feature, check to-do lists, your calendar, traffic and endless other commands. You can even have Alexa play interactive games or give history lessons to your passengers, making long road trips a little less painful. Most of this will happen through your phone’s data connection, so be sure you’re sorted on that front before taking the plunge. In the pursuit of making the Speak Plus as smart as possible, Garmin has naturally included a mobile app called VIRB. This is the same app that Garmin’s other devices use to store, review and share footage. You can also go through some settings within the app. Most users tend to utilize the app more as a medium of file transfer, allowing your phone to become a storage device for videos when the SD card is running low on space. Speaking of which, the Speak Plus supports up to 64GB of microSD storage. Garmin recommends that you pick up a class 10 card or above to avoid painfully slow read, write and file transfer times. Alexa integration goes a little further than the basics as well. Just like with Amazon’s Echo devices, you can download countless other skills right onto the Speak Plus, essentially making your car a personal assistant. You can check the stocks, tally up your account balance, control smart devices back home such as lights, locks and thermostats and even hear the news. The opportunities here are endless, and this makes for a great selling point with the Speak Plus. Thanks to Alexa, it becomes so much more than a dash cam with a few fancy features. It can completely eliminate the need for you to touch your phone while driving, which is a huge safety bonus. 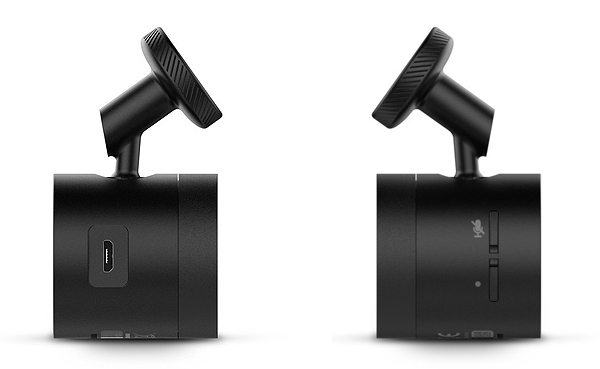 That said, there’s no doubt that Garmin has helped create a new path for dash cams, one where their functionality and features can be enhanced with software downloads, making for a smarter and safer alternative. That, combined with a capable camera and a great build quality makes the Speak Plus a considerable choice for those wanting to try out something new.